Nemesis stainless steel mechanical mod. Top cap has an adjustable pin for the atomizer. Top and bottom contacts are silver plated to reduce voltage loss allowing you to get the most power out of this device. The bottom button it is easily fired because it sits comfortably in your hand. 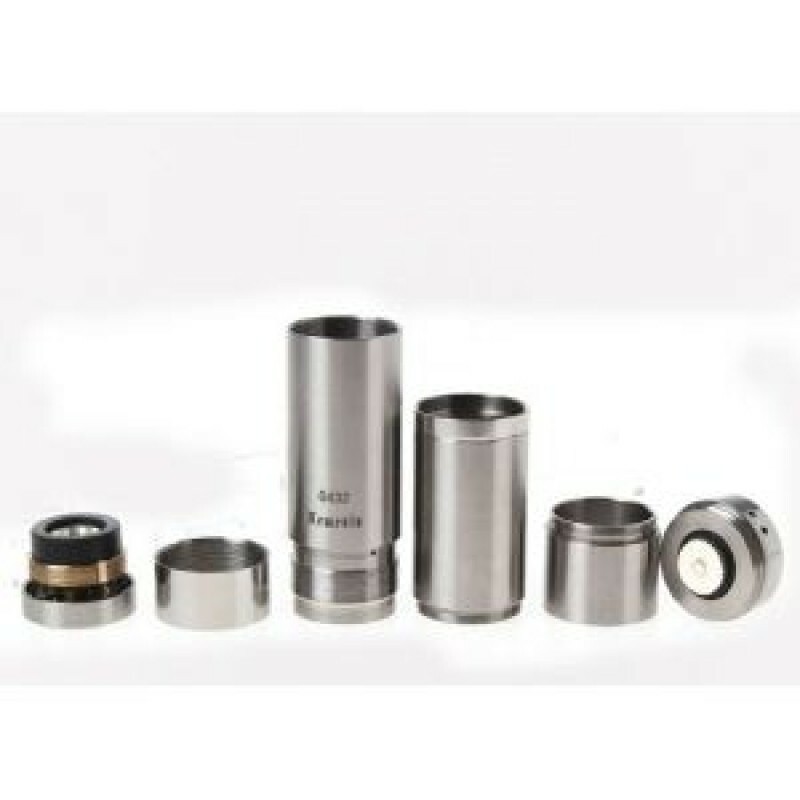 The bottom locking ring on this device can be tightened all the way down to conceal the battery vent holes when in stealth mode and the top cap ring allow for adjustable air flow.